Lily Chow's father-in-law, Chung Chow, paid the Head Tax of $500 to enter Canada on August 1, 1913. As a former labourer for the Grand Trunk Pacific Railway, he inspired her passion for B.C. history with his heart-wrenching stories of Chinese Canadian workers. With the Chow surname, he felt obliged to contribute to the construction of the Chee Duck Tong dormitory building for Chinese immigrants in Prince George in 1920. There were three Chee Duck Tong benevolent societies in B.C. (Vancouver, Victoria, Prince George) to help Chinese immigrants retain their heritage and to provide single males with accommodation. The PGCDT Society extended its housing facility to 199 Quebec Street in 1965. Prior to their marriage, Lily Chow's husband, who started the Oriental Inn restaurant in Prince George, stayed at the society's rooming house for a year and donated money for the expansion of the building's second phase in 1964. As a single woman, Lily Chow was not allowed to stay at the dormitory when she arrived in Prince George in 1967. "Emperor Chow Tai Wong wanted to expand his territory and sent ethnic groups from Shanxi to distant countries to cultivate land and educate the local people," she writes. "Five ethnic groups were successful in their missions and each of their settlements was conferred by the following titles: Chow (Zhou), Choy (Cai), Wu (Ng), Cho (Cao) and Yung (Weng). "Hence these titles became the last names of the settlers and their descendants. Years later, the descendants bearing these five last names met in a region south of the Yangtze River and founded an organization known as Chee Duck Tong. Then whenever these five ethnic groups met, they established chapters of Chee Duck Tong Society to retain their brotherhood and heritage in the localities." The ancient history of the Chinese is rarely considered in Canada so few British Columbians know about Hui Shen, the Chinese monk who reputedly discovered the B.C. coastline about ten centuries prior to Columbus. Just as Christopher Columbus is usually credited with 'discovering' America (rather than the Vikings who we know arrived much earlier), mention is never made in our schools that some Chinese Canadians believe five monks and their disciples first sailed across the Pacific Ocean around 458 A.D. Legend has it that this expedition's leader, Hui Shen, who reputedly hoped to teach Buddhism to native tribes, survived his 9700-kilometre voyage and described to court historians in China a place far to the east where red mulberry trees grew profusely. He called the new land Fusang; Fu means help or nurturing and sang refers to the mulberry trees. Chinese immigrants who arrived much later than Hui Shen faced racism and legislated efforts at exclusion. In 1885, the Chinese Restriction Act was passed and the first head tax of $50 was introduced. This tax was raised to $100 in 1901 and to $500 in 1904. In 1923 the Chinese Exclusion Act was passed to prohibit Chinese entry to Canada. The Chinese were not granted the right to vote in British Columbia until 1947. What makes Chow's research into the Chinese history of north-western B.C. (the region extending from Smithers to Prince Rupert) so interesting, and so readable, is that it illuminates lives from the inside. Inspired by the stories she heard from her father-in-law, Lily Chow's fourth book, Blood and Sweat over the Railroad Tracks, (UBC INSTRCC & CCHSBC $40) is a recollection of the CPR construction which employed thousands of Chinese labourers to build the transcontinental railway linking this country from coast to coast. The book examines the reasons for constructing the railway and why and how the Chinese labourers were recruited and transported from Guangdong to the various construction sites in British Columbia. Chow illustrates the difficult and dangerous tasks that the Chinese labourers had to perform bearing testimonies to the challenges, hardship, struggle, and endurance of these workers. Despite the hard labour these men displayed an excellent work ethic, and were diligent and dependable people. Included are some poems and verses by a couple of Chinese labourers and their family members, which show their anguish, anxiety, and longing-human feelings and emotions that had been repressed. Chow's third book is Legends of Four Chinese Sages, a children's book written in both English and Chinese (Mandarin phonetic) with eight pages of illustrations, translated by Wang Meizhong. Lily Chow was born in Kaula Lumpur, Malaysia, in 1931 and has lived in Canada since 1967. She came to Canada as a qualified teacher and taught general science, Biology and Mandarin in Prince George Secondary School and Duchess Park Secondary School. She then graduated from UBC with a Bachelor of Education and received her Master's of Education in University of Victoria. She has taught in the Prince George School District for 25 years. 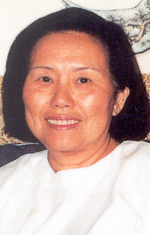 In 1993 she retired from teaching high school but continued teaching Mandarin in the University of Northern British Columbia. 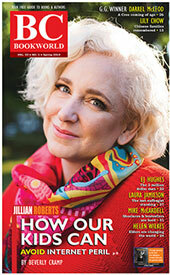 She now devotes her time to research and writing while living in Victoria. As a high school teacher in B.C. ?s interior, formerly Prince George-based Lily Chow of Victoria travelled in her spare time to identify Chinese Canadian caf�s that dotted every small town in B.C. and across the Prairies, also noting Chinese names on headstones in cemeteries. Her explorations eventually resulted in two ground-breaking books about Chinese in northern B.C. Sojourners in the North (1996) and Chasing Their Dreams (2001). Now Henry Yu responds to her fifth book, another cumulative study, Blossoms in the Gold Mountains: Chinese Settlements in the Fraser Canyon and the Okanagan (Caitlin $24.95). ? Ed. In Malaysia, where Lily Chow was born and raised, it was a common pattern for ethnic Chinese to be clustered in cities such as Kuala Lumpur or Ipoh or Georgetown (Penang), with small numbers of Chinese families running local businesses in rural areas and small towns. Lily Chow noticed that B.C. had a similar historical pattern. The wholesale shift of so many Chinese in rural B.C. in the mid-20th century from small towns to Vancouver had left only traces of their presence in the places she passed through as a teacher. Chow therefore developed her ongoing curiosity about individuals such as the lone Chinese cook at a mine or logging camp, or the lone Chinese Canadian family in a town who happened to own a store, a caf� or a laundry. The Chinese migration from small towns to cities within a broader 20th century rural-to-urban shift within Canada in general generated new opportunities for the younger generation of Chinese Canadians after 1947, when re-enfranchisement and the quiet dismantling of white supremacy meant a long-denied ability to enter white collar professions, including medicine, dentistry, accounting, and law. With full citizenship rights restored ? the vote had been taken away from Chinese and non-whites as one of the first acts of the B.C. legislature in 1871 after the colony joined the Dominion of Canada ? Chinese Canadians were finally able to aspire to a living beyond the mostly manual labour to which they had been restricted by legislated discrimination. Chinese labour in laundries, and food services in rural and small town Canada was gradually forgotten as more Chinese families moved closer to universities. We owe a debt of gratitude to Lily Chow for telling us the stories of the Chinese in northern and interior B.C. in her earlier books. Based mostly upon oral history interviews (supported by written traces of the earlier Chinese presence in newspapers and local records), her Blossoms in the Gold Mountains concentrates on a few families who are inextricably tied to the history of particular towns, such as the On Lee family in Yale and the Chong family of Lytton. Along the way Chow explains why there has been such inconsistency in the anglicization of Chinese names in B.C. The On Lee family of Yale, for instance, was actually part of the Jang family, but as with many other small town Chinese-Canadian families, they became known by the business name of their store rather than their own family name. And, of course, there was no shortage of clerical errors. In an earlier work, she once explained how Alexander Won Cumyow and his son Gordon Cumyow acquired their family name in English from a clerk writing down Cumyow?s given name as the family name. This happened, as well, to C.D. Hoy, the famous storeowner and photographer of Quesnel, whose proper name, Chow Dong Hoy, was rendered in Chinese order, with family name first. By the alchemy of anglicization, the surname Chow became Hoy. Lily Chow establishes how what seems in English to be a confusion of names ? Chow, Joe, Zhou, Chou ? is actually the same Chinese family name, ?. The proliferation of variants was both the product of transliteration and the fact that different dialects of Chinese pronounce the same character differently. But Blossoms in the Gold Mountains is about much more than semantics. It?s primarily about families?no matter what others called them. Peter Wing, the first Mayor of Chinese heritage elected in Canada (mayor of Kamloops, 1966-1971), was actually of the Eng family, but Chow?s larger purpose is to see him through the lens of his family, through multiple generations. In this way, the stories of Chinese Canadians in Yale, Lytton, Kamloops, Vernon, Kelowna, and Armstrong are brought to life not as anomalies but in ways that explain why they were often respected citizens and community leaders. By countering the over-generalizations of others, including scholars who have insisted that the Chinese lived overwhelmingly in Chinatowns across Canada (in fact, in no historical period did the majority of Chinese Canadians live and work in urban Chinatowns), Lily Chow has rescued the lives and work of the Chinese minority in these interior communities. With Blossoms in the Gold Mountains, Lily Chow provides an inclusive and accurate historical narrative that looks back in time just as we look forward and aspire to be a nation that derives strength and commonality from the diversity she reveals. The passage reflects the harshness of the lives of married Chinese men who were denied family rights. The cover photograph of a man smoking a Chinese water pipe is both apt and misleading. Framed as he is by a Union Jack and the Maple Leaf flag, this pipesmoker signals the history of Chinese immigration and ethnicity in central B.C. (also the subject of Chow's first book, Sojourners in the North). But the exoticism of the man's costume and activity prevents us from seeing the central truth that Chow so carefully unfolds--at their heart all stories of immigration are private and personal stories, more than they are cultural and political ones.